For 2018 we’re hotting things up. We’ve got a new engine, new turbo, new chargecooler set-up and a proper geo set-up! As with previous years we’ve entered the Lowland Championship & the XBC, but not any of the Scottish Championships this year. We will be entering the Scottish Speed, Sprint and Hillclimb Championships in 2019 when certain proposed rule changes come into effect to level the playing field. Here is the calender of events for 2018. Round Date Venue Organising Club Result. Round 8 17 June 2018 Forrestburn Monklands Sporting C.C. Round 12 25 August 2018 Forrestburn Monklands Sporting C.C. Round 13 26 August 2018 Forrestburn Monklands Sporting C.C. Round 14 15/16 September 2018 Doune Lothian C.C. Round 15 7 October 2018 Kames East Ayrshire C.C. 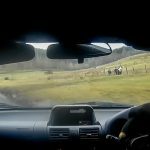 Doune – King of the Hills?